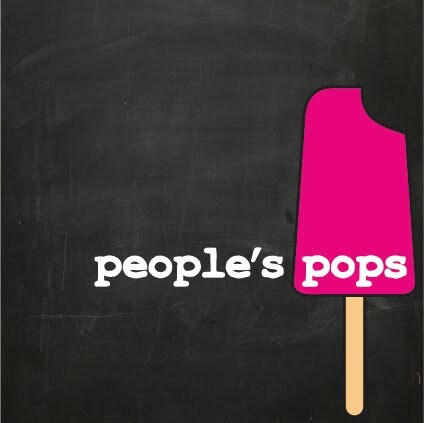 people's pops: Peach, Chamomile & Honey Pop? Say What? 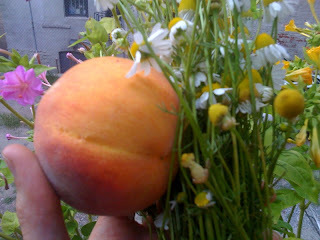 Peach, Chamomile & Honey Pop? Say What? Ok. Here's the deal. Peaches are in right now. Like, in the best way. Tree-ripened. Sugar-sweet. Juicy. White & Yellow varieties. So, in honor of this glorious harvest, we've made up a legendary treat with peaches, fresh chamomile flowers & golden honey. They put asses in seats. Pair it with our classic watermelon, cucumber & hyssop that's sweetened with a touch of cane sugar. Check us out this Sunday, the 27th of July at the Brooklyn Flea. And get there early, before we run out and ruin your day! Brooklyn Flea Is The Place To Be. At. Brooklyn Flea: The New Home of the people's pops!